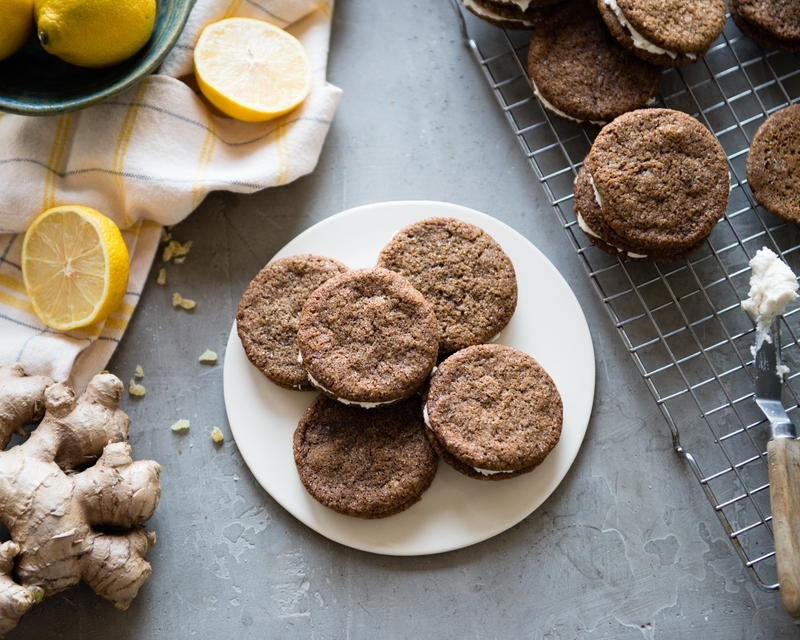 You may remember earlier in the year when I teamed up with award winning Natalie’s Orchid Island Company to create a new recipe using one of their amazing juices. 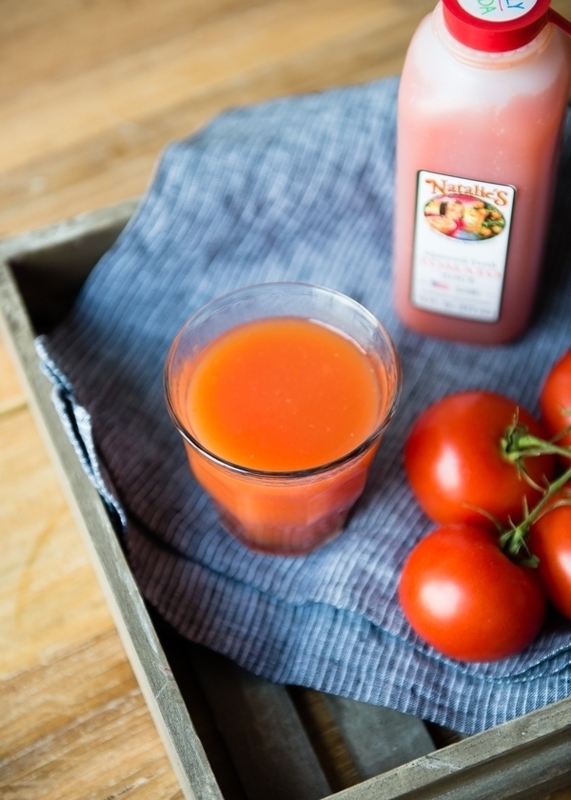 This time using their newest squeezed fresh juice – tomato! And we’re making Tomato Juice Dressing and Vinaigrette 3 Ways. That’s three delicious, refreshing, flavor ways to perk up your salad. I am a big fan of Natalie’s for so many reasons, not the least of which that the company is a owned by women! 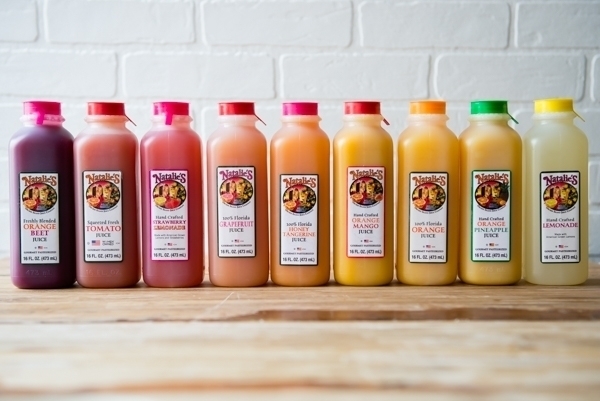 One of the things I love most is how fresh and delicious the juices are. 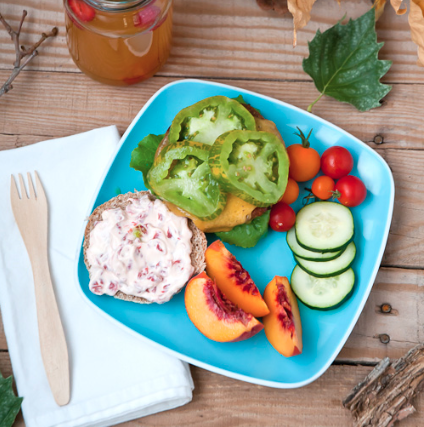 They are squeezed fresh from locally sourced produce and flash pasteurized to maintain flavor, quality, and nutrition. 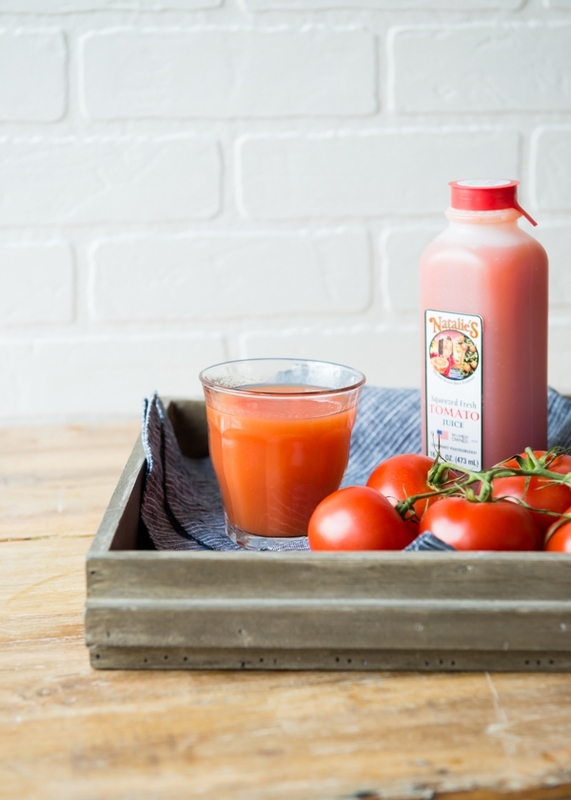 Of course, drinking tomato juice has a lot of health benefits because it is rich in lycopene and other antioxidants. 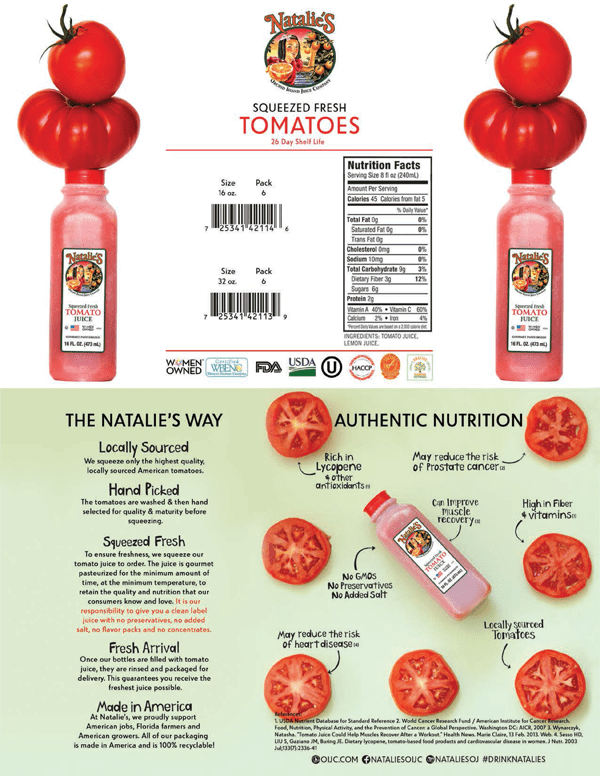 Natalie’s tomato juice is just tomatoes. No artificial flavors. No salt. 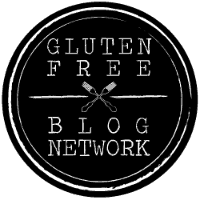 No GMOs. I know it’s December, and freezing cold in my neck of the woods, and summer is a bit of a memory at this point, but a glass of this tomato juice brings those memories screaming back. 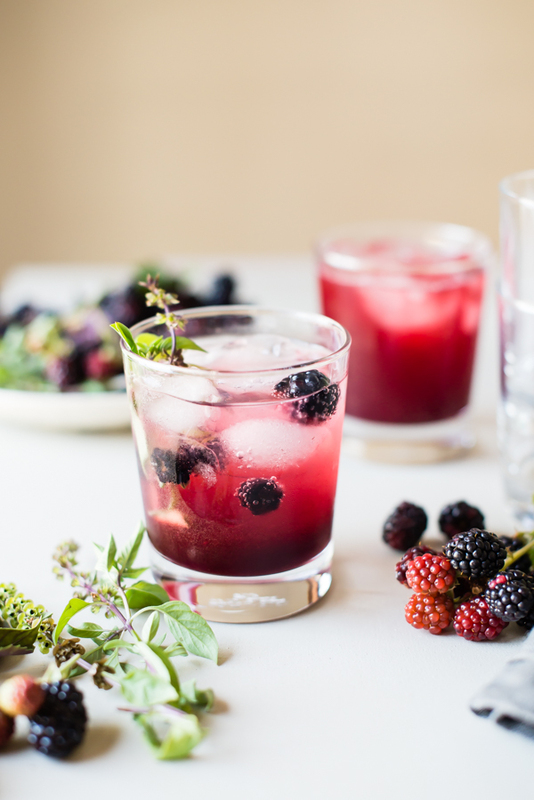 Summer in a glass. And honestly, I’ll take any summer vibes I can get! More than that, this juice tastes like the sweetest, freshest, juiciest ripe tomato right off the vine. 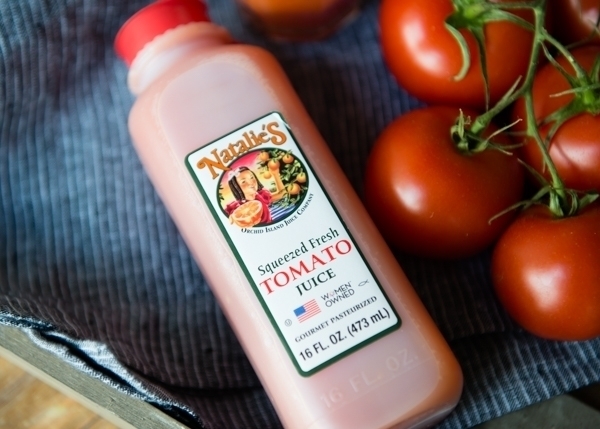 When I had a garden of my own a few years back, I would juice or puree our fresh garden tomatoes all the time, and this squeezed fresh tomato juice from Natalie’s tastes just as fresh and delicious. 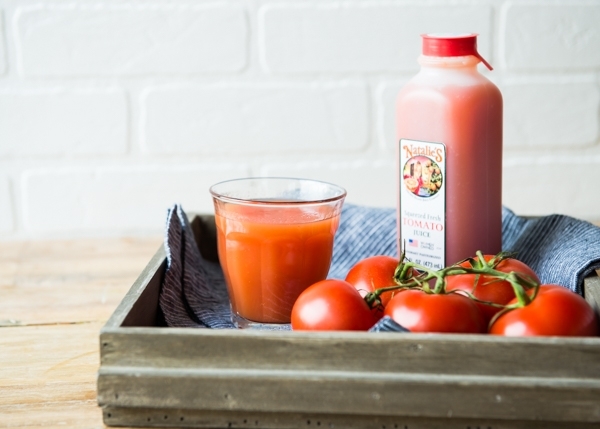 The thing that makes this tomato juice different from other kinds you can buy is that it is squeezed fresh and flash pasteurized, not canned or bottled to give it a cooked taste. I sat down to brainstorm different recipe ideas that wouldn’t compromise the fresh flavor of the tomato juice. 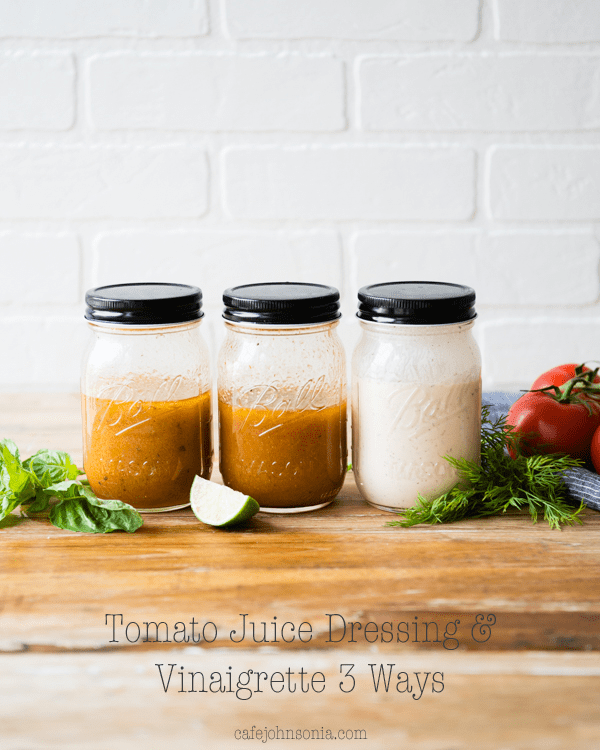 The idea of tomato juice dressing or vinaigrette came to me and I knew that was what I wanted to do. So, here we are. 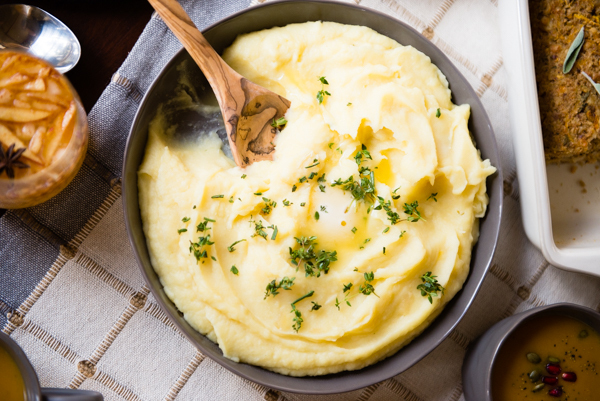 I came up with three variations that are equally tasty, flavorful, and unique. Three is better than one, right? 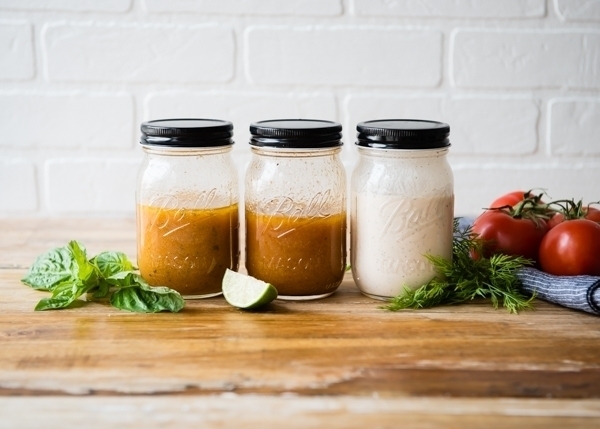 From left to right: Tomato Basil Vinaigrette, Cumin-Lime Tomato Vinaigrette, and Creamy Dill Tomato Dressing. 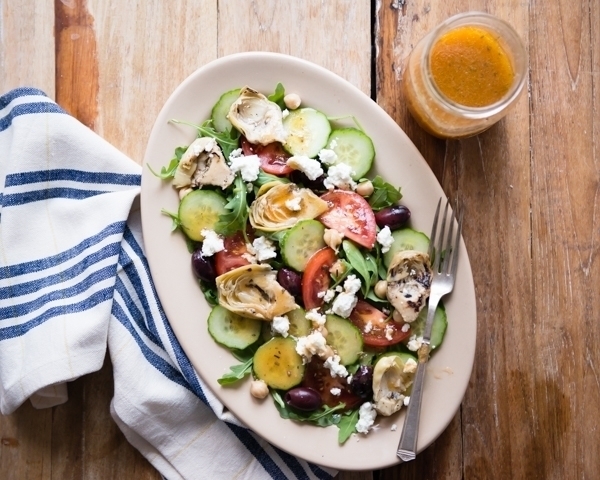 The Tomato Basil Vinaigrette is fantastic drizzled over a Mediterranean or Greek-style green salad. The one picture above has wild arugula, grilled marinated artichoke hearts, chickpeas, cucumber slices, fresh tomato slices, Kalamata olives, and crumbled goat cheese. Hold me. 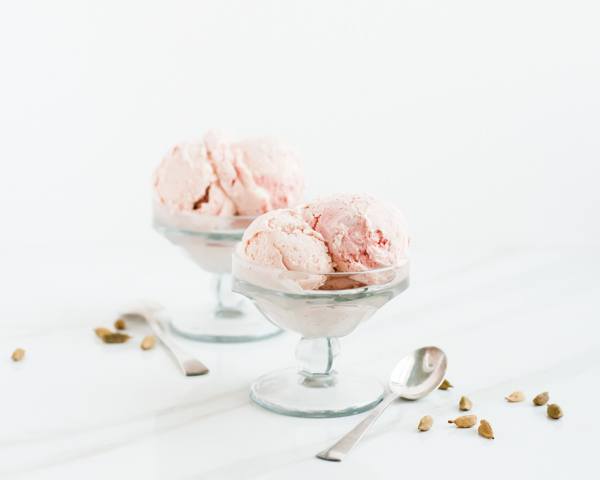 I wanted to definitely create a variation with the flavors I love from Mexican cuisine. I am an avid fan cumin. I added ground cumin, along with fresh lime juice to create this Cumin-Lime Tomato Vinaigrette. It was so, so good on top of a Southwest-style salad of baby spinach, corn, black beans, avocado, diced cooked chicken, crumbled queso fresco, sliced tomato, and a few sprigs of fresh cilantro. I could eat this salad every single day. My favorite of the three (it was hard to choose!) 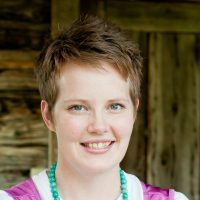 is the last one – Creamy Dill Tomato. I made a variation on homemade Ranch dressing that includes mayo, sour cream, and buttermilk with a bit of fresh lemon juice, fresh minced dill, and plenty of fresh ground black pepper. 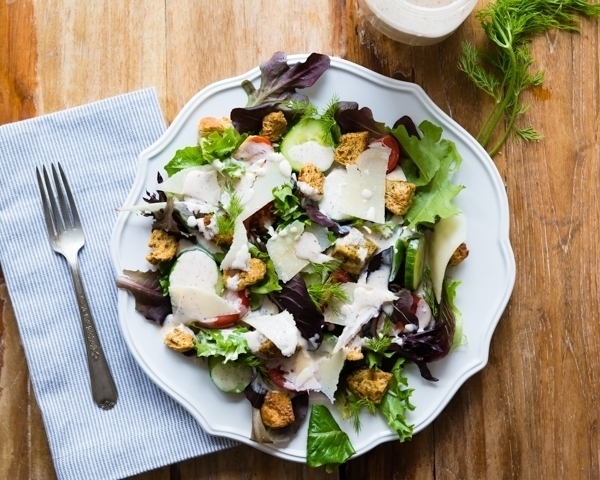 This salad has baby lettuce leaves, (gluten-free) croutons, sliced cucumber and tomato, shaved Parmigiano-Reggiano, and a few more sprigs of fresh dill. Incredible. 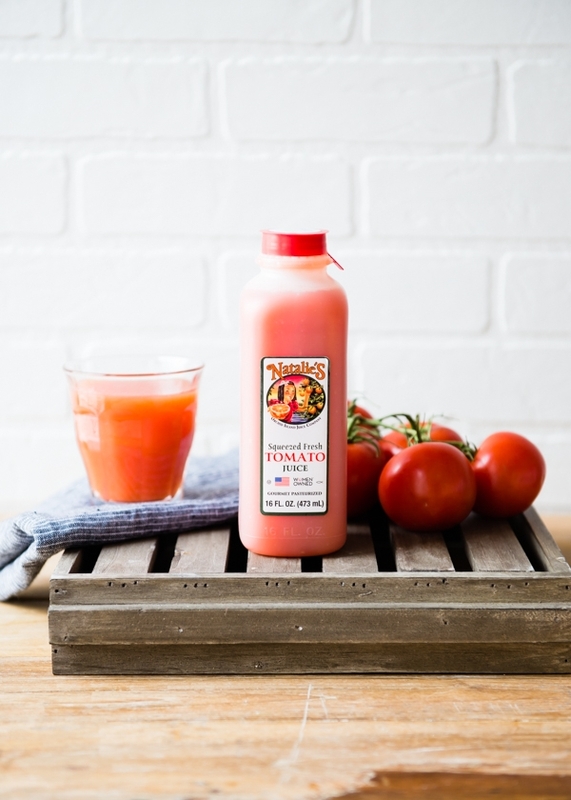 The tomato juice makes the dressing light pink in color and tastes like fresh tomatoes drizzled with Ranch. (I used to so not be a Ranch fan until I started making it from scratch!) Bonus: my kids loved it too. In a bowl, whisk together the tomato juice, buttermilk, mayo, sour cream, lemon juice, and dill. 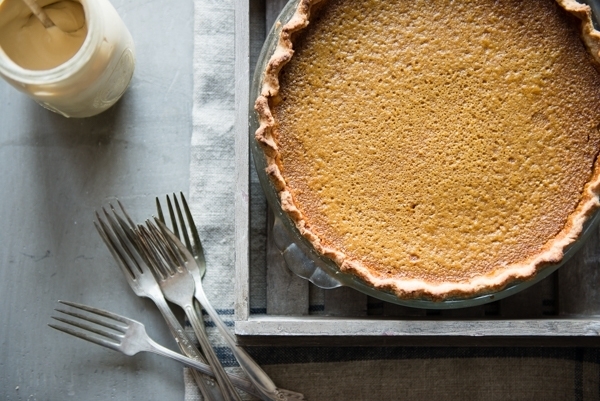 Season well with sea salt and coarsely ground black pepper. 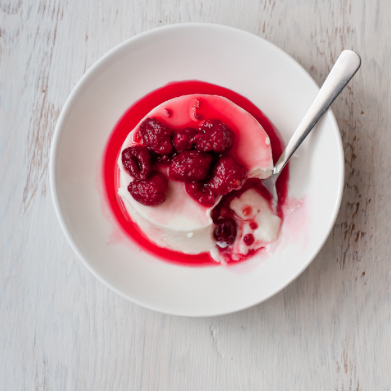 Transfer to a jar with tight-fitting lid and refrigerate until ready to serve. Notes: For a thicker dressing, use 1/2 cup sour cream and omit the buttermilk. Serving suggestion: Basic Green Salad with lettuce or any choice of greens, sliced vegetables, sliced tomatoes, shaved Parmigiano-Reggiano, and croutons. Place tomato juice, vinegar, mustard, pinch of sea salt, black pepper, and sugar in a jar with tight-fitting lid. Shake well to dissolve the sugar and salt. Add the olive oil. Shake the jar vigorously. Add the basil and shake again. Store in refrigerator until ready to serve. Serving suggestion: Mediterranean Salad with arugula or baby lettuce, chickpeas, sliced cucumber, marinated artichoke hearts, kalamata olives, sliced tomato, and crumbled fresh goat cheese or feta. Yields: about 1 1/4 cups. Place tomato juice, lime juice, and spices in a jar with tight-fitting lid. Shake well to dissolve the salt. Add the olive oil and shake vigorously until well-combined. Taste and adjust seasonings, if needed, according to preference. Store in refrigerator until ready to serve. 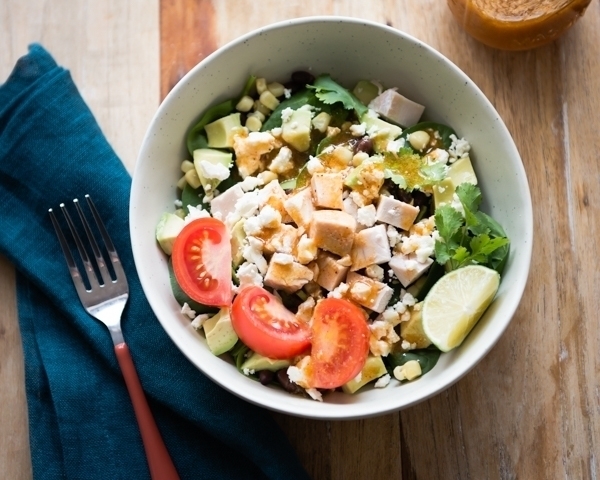 Serving suggestion: Southwest-Style Salad with leafy greens, corn, black beans, queso fresco or cheddar, diced cooked chicken, sliced tomato, avocado, and fresh cilantro. Disclosure: This post is sponsored by Natalie’s Orchid Island Juice as part of an on-going partnership. All opinions expressed are 100% my own. I only work with brands I truly LOVE and recommend.